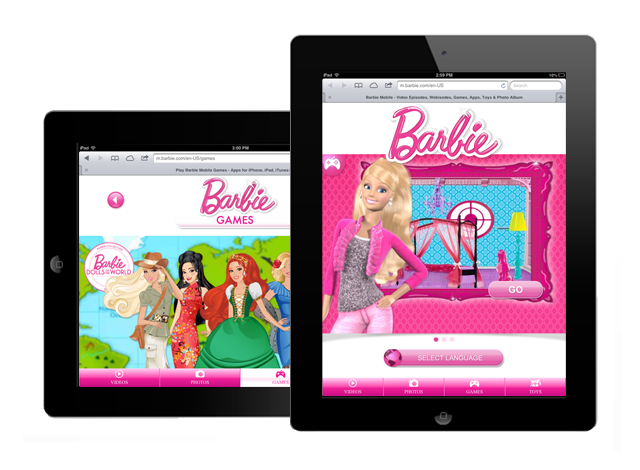 I worked as contract designer on a small creative team that included a ux lead and creative director. 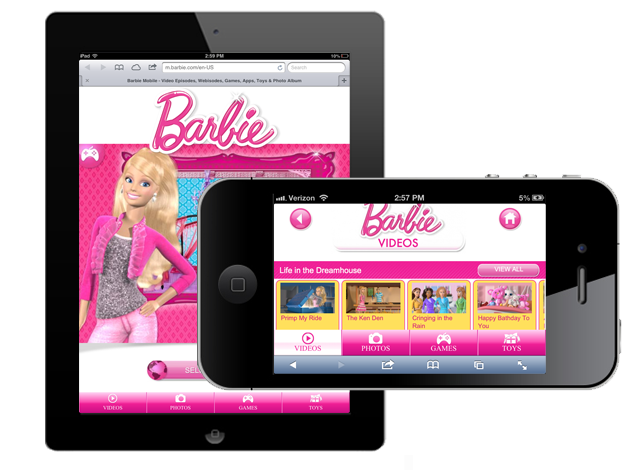 Mattel needed a mobile friendly version of their Barbie website - which included new areas for dynamic content (movies & games) and an updated UI for the entire experience. 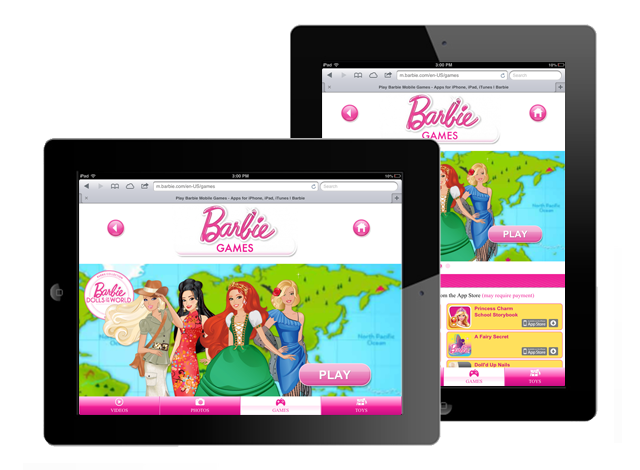 We worked with the client to design a mobile friendly version of the Barbie.com site while updating the UI, the site structure, and providing designs for new pages hosting videos and games.